Make tooth time easy with this morning and night tooth brushing show for kids. Kids will hear jokes, riddles, stories, fun facts, silly songs and more, that’ll keep them giggling - and brushing - for the full two minutes that dentists recommend. 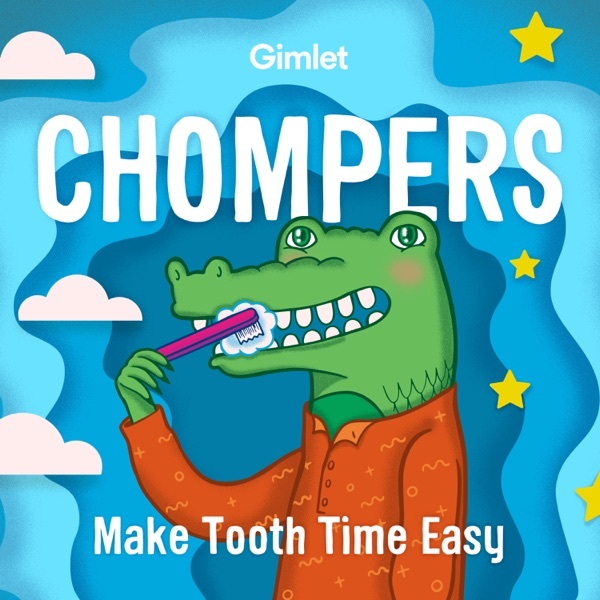 Chompers will have kids reminding parents that it's time to brush, not the other way around! Recommended for tooth brushers ages 3 - 7. Also available on Amazon Alexa. When it’s time for your family to brush teeth, say “Alexa, start Chompers."